Flexibility, creativity, technological development and innovation are key objectives in all areas of our company. We invite to cooperation campaigns with innovation products of diagnostic and treatment sleep apnea. “ROSMEDSNAB” company is able to supply your clinic with medical equipment, advanced medical tools, endoscopes and also minimally invasive surgery and diacrisis complexes. “ROSMEDSNAB” company was established in 2000. In our business we have own way to every customer taking into consider all of your interests. We offer various medical equipment by the best trade marks on optimal conditions for our customers. 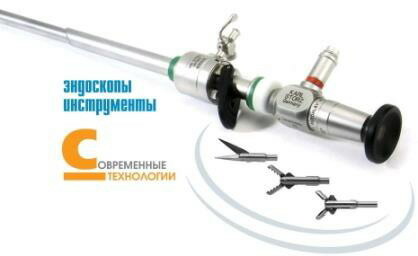 “ROSMEDSNAB” company is the official dealer of “Karl Storz” company that is very well known in Russia with its high quality of medical tools and units as well as wide spectrum of endoscopic surgery’s offers. The work practice on the very serious problems has formed the professional staff that is able to manage any task. Our rich knowledge, researching and advanced production engineering allow to offer our customers constructive solutions that conclude high quality and maximum economy. “ROSMEDSNAB” company constantly extends the catalogue of the offered medical equipment for different medical specialists. For additional information concerning the product of “ROSMEDSNAB” company please, change over to “Contacts” and fill in the feedback form. We shall reply to all of your questions relatively supply availability, prices and terms of delivery. In 2016 ROSMEDSNAB signed exclusive dealership agreement with the Belgian partner Lucimed to supply Phototherapy glasses Luminette to the Russian market.